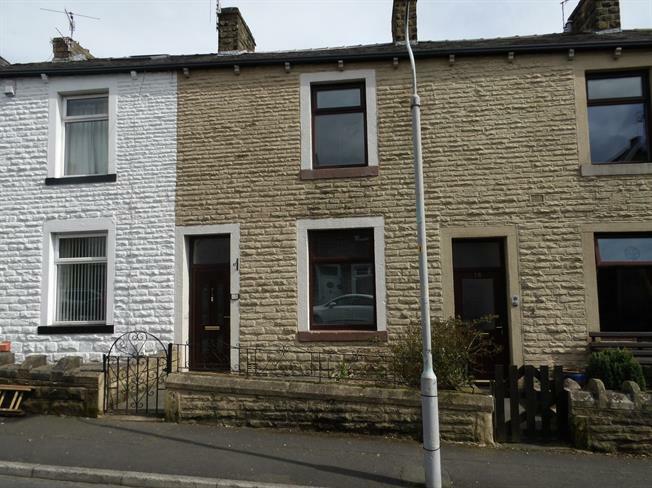 3 Bedroom Terraced House For Sale in Colne for Offers Over £110,000. A Simply Stunning Property!! We bring to market this stunning terrace home which the current vendors have fully refurbished to a very high standard! The property in brief comprises of hallway into open plan dining room to front and lounge with multi fuel log burner to rear. Solid wood flooring running throughout the ground floor. Newly fitted kitchen leading to enclosed yard to rear. To first floor, two bedrooms and four piece bathroom suite. A further staircase to attic bedroom with storage into the eaves. No Chain!! Solid wood flooring, radiator, one ceiling light point and stairs to first floor. Solid wood flooring, radiator, one ceiling light point, double glazed window to front, meter box, hard wiring for internet and tv. A range of wall and base units with wooden work tops, stainless steel sink and drainer, brick splash back tiles, integrated dishwasher and oven, extractor fan, Velux window, double glazed window to rear and door leading to yard. Double glazed window, boiler, one ceiling light point and stairs to first floor. Bath, low level wc, wash hand basin, walk in corner shower, chrome radiator, brick style tiled to floor, tiled effect flooring, spot lighting and extractor fan. One ceiling light point, radiator, exposed beams, Velux window and storage into eaves.